Legacy Soccer Club's teams compete in US Club Soccer and follow its age group guidelines. 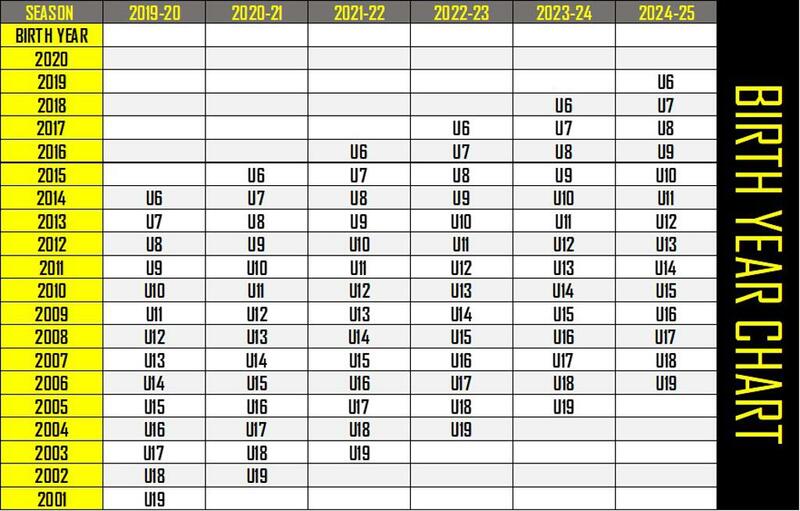 Our tryouts are based on different age groups defined by a player's birth year. Please see the chart below for more details and send any queries to us via info@nelegacysoccer.com.